Ottoman Empire was founded in the first half of the fourteenth century AD by Osman I who became chieftain of a pastoral tribe that then reigned over northwestern Anatolia and engaged in periodic encroachments on Byzantine dominions. Ottoman Empire research paper due and don’t know how to start it? How about like this? The Ottoman Dynasty was founded in the first half of the fourteenth century AD by Osman I who became chieftain of a pastoral tribe that then ranged over northwestern Anatolia and engaged in periodic encroachments on Byzantine dominions. Over the course of centuries Osman’s tribe grew stronger and pursued a course of conquest which resulted in its obtaining possession of both a substantial portion of the Balkans and Anatolian territory up to the straits that separated Constantinople from Chalcedon. North to embrace almost the entire coast of the Black Sea. This tide reversed itself, however, the empire’s territory diminishing by fits and starts from 1699 on. The decay of the Ottoman Empire was dramatic. By 1800 it was a moribund entity, subject to centrifugal forces from within, and technologically backward as compared to the west. Yet it was to endure—albeit in the guise of the “sick man of Europe”—until the end of the First World War. Why was it still viable in 1800 and why did it endure for over one hundred years more? That is the subject of this paper. One of the reasons that the Ottoman still stood at the end of the eighteenth century was simple a matter of inertia. The empire at its height had been a huge entity and its dissolution was not something that might be expected to happen over night. An author notes that the Ottomans lost land at a slow pace between 1699 and the 1770’s, and that most of its European lands were retained for another hundred years after that. The Ottoman administration of the early eighteenth century, however rotten it may have been from within, could still field formidable armies. The Russian move south was inexorable, but it suffered many defeats along the way. Itzkowitz notes that Peter the Great suffered a defeat at the hands of the Turks at the Pruth River in 1711 and that Ottoman armies defeated both the Austrians and the Russians in the late 1730’s. Another reason the empire was able to survive external threat was that she was blessed with fairly weak antagonists who were, at times, otherwise engaged. Russia and Austria were the adjacent European powers that could, conceivably, threaten the empire’s very existence, but neither of these was able in the eighteenth century to throw their full weight against Turkey. They had other foreign policy concerns and these worked to protect Turkey. Austria and Russia acted as checks upon each other from time to time and Prussia was a check on Catherine the Great and her move to the south. Treaty of Kuchuk Kainarji - The beginning of the end for the Ottoman Empire - but it was only the beginning - was the Treaty of Kuchuk Kainarji of 1774. Istanbul - In 1453, with the conquest of Sultan Mehmet II, Constantinople became the center of the Ottoman Empire. Cyprus Research Papers that look at one of the oldest countries in the world and its history with the Ottoman Empire. Economics in Cyprus - Cyprus blamed “their long slavery under the Ottoman Empire” or the Turks on their current life conditions. Middle East Geography - Arabs that lived during the Ottoman occupation considered Ottoman rule a benefit to the region primarily because they exhibited a clear support for the Ottoman state at the time. Order a research paper on Middle East geography from Paper Masters. 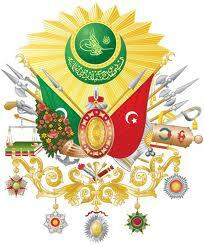 Paper Masters writes custom research papers on the Ottoman Empire and delves into the history of the Ottoman Dynasty.